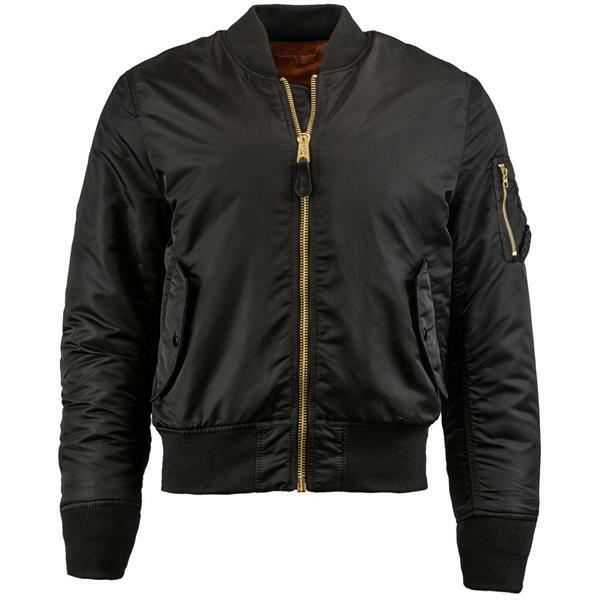 Introduced by the mid-1950s, the MA-1 became the flight jacket of U.S. Air Force and Navy pilots and ground crew. 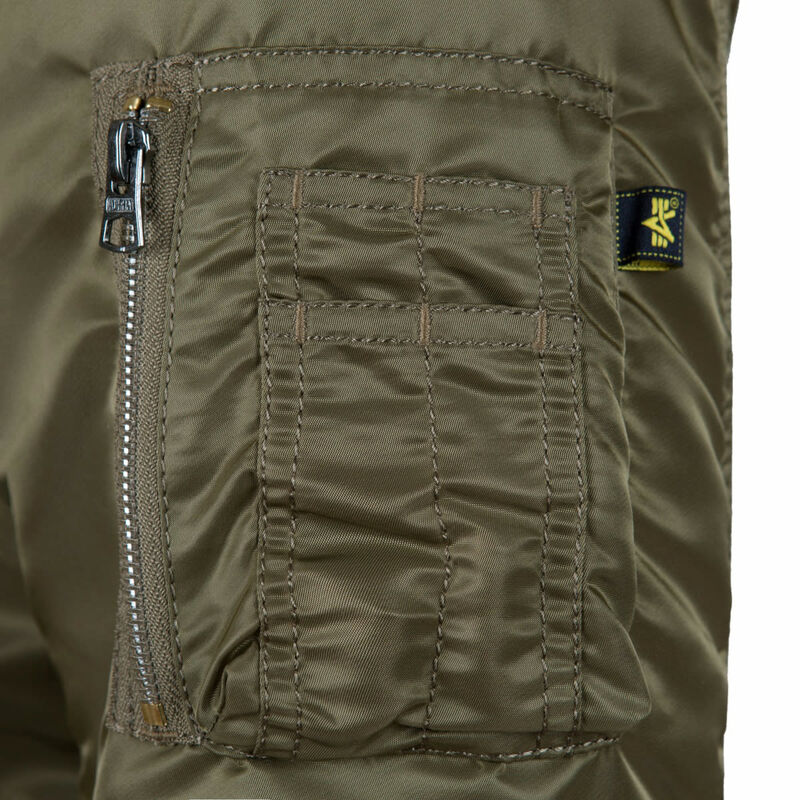 Alpha Industries' first government contract for the MA-1 was awarded in 1963. 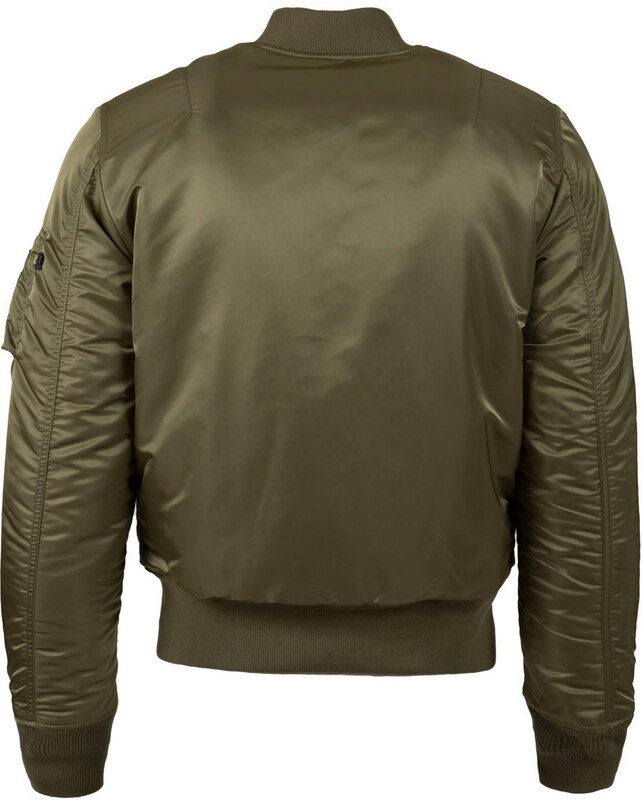 They started producing the MA-1 flight jacket for the civilian population in the 1970s. Black was added to the military sage green requirement. 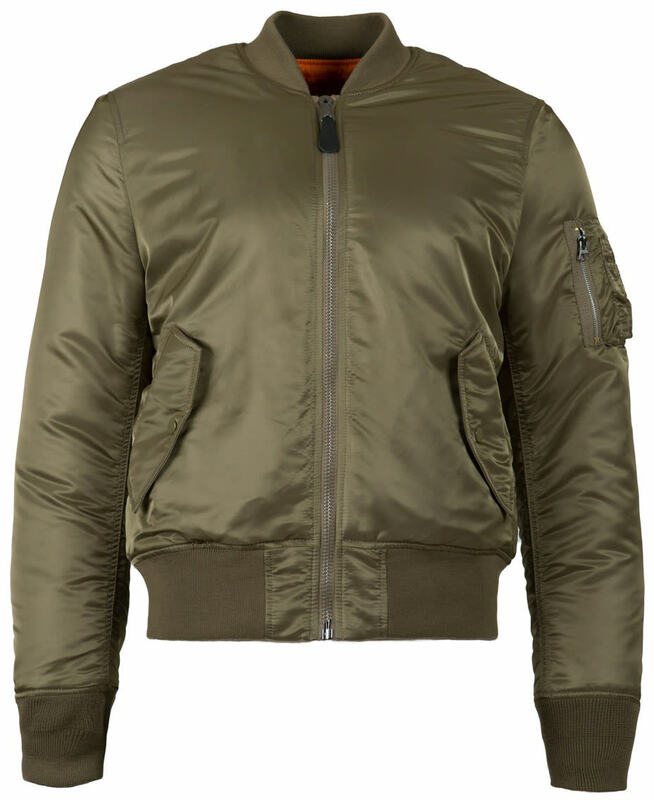 The jacket has evolved over the years, and they have updated the classic MA-1 flight jacket with a slimmer fit throughout the body and sleeves. 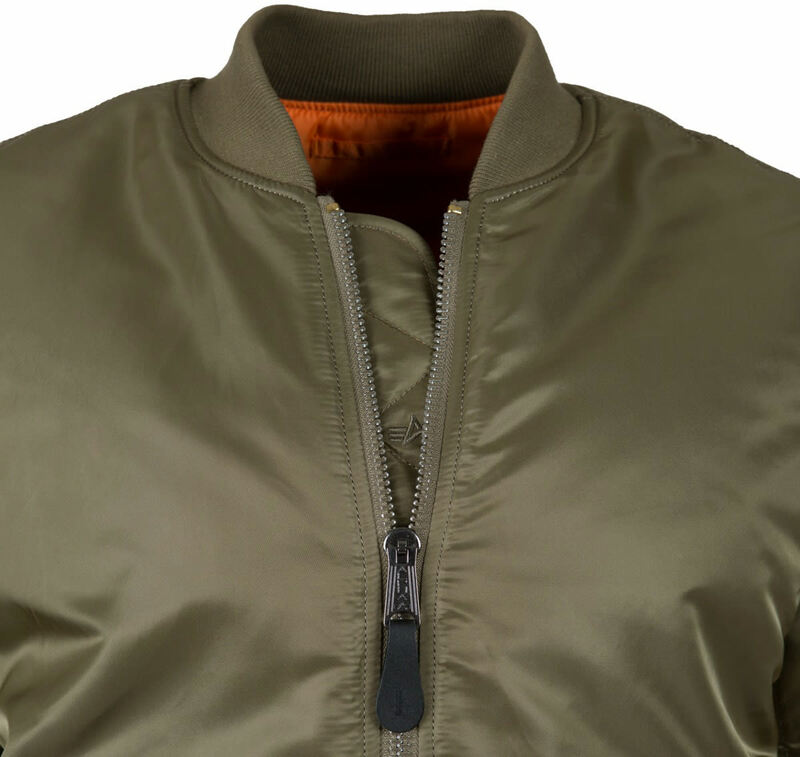 Like its counterpart, the MA-1 Slim Fit has a flight nylon, water-resistant shell with nylon lining and 100% polyester fill. The black variation has brass zippers while the other colors have tonal metal zippers. 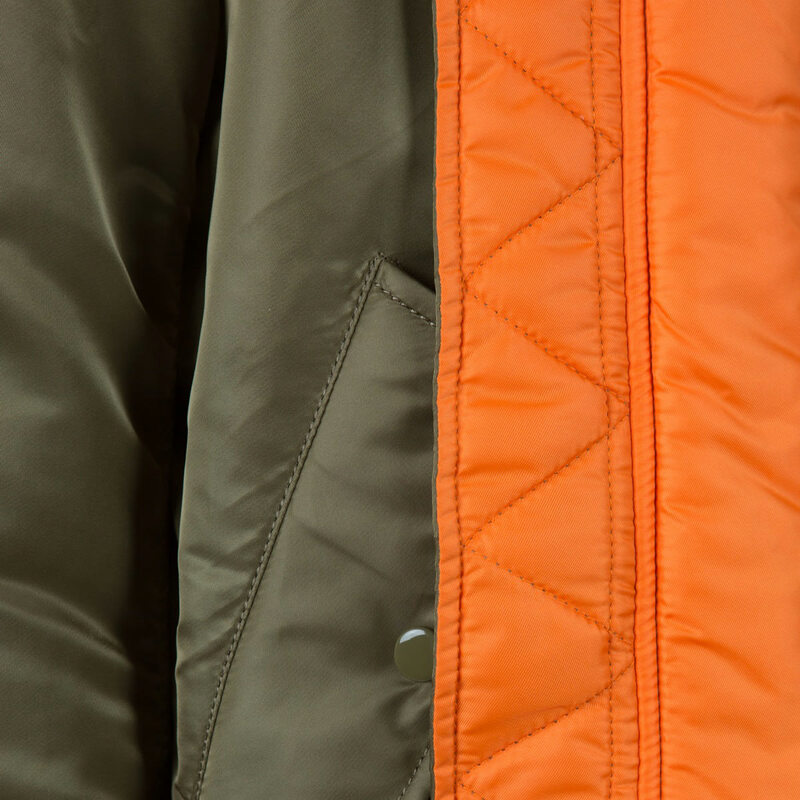 The white variation reverses to a white interior while the rest of the colors have the traditional Emergency Orange lining.